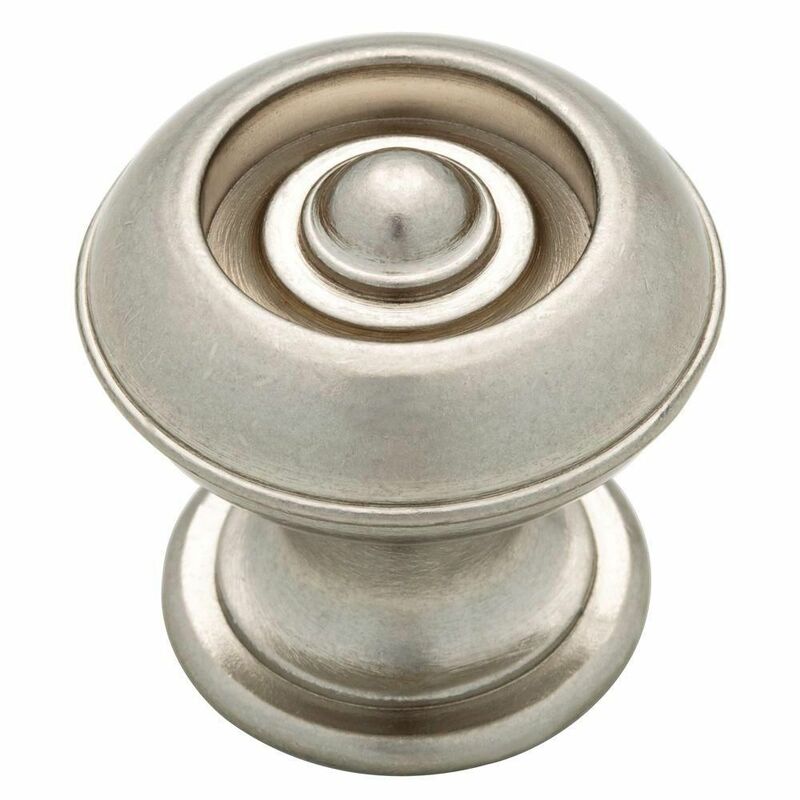 30mm Button Knob Layers of round details add texture and depth to this Martha Stewart Bedford 1-3/16 in. Nickel Button Knob. The Bedford nickel finish easily blends with many decorating styles. Easy installation with hardware included. 30mm Button Knob is rated 4.9 out of 5 by 7. Rated 5 out of 5 by Stella from Beautiful way to update my kitchen The style and quality of the knobs is excellent. I wish I had ordered one extra and advise anyone to do so as one of the knobs had a stripped screw so had to return one and reorder. Apparently this is pretty common. Not bad since I ordered 39 of them. Great quality for the price. Rated 5 out of 5 by korbin97 from lovely knobs these knobs and pulls were exactly what we were looking for. Rated 5 out of 5 by Cindy from Very impressive looking I bought a new house (to me) that was missing 40 knobs for the kitchen. As you know they can run from$2 on up. The Martha Steward knobs at less than $2 a piece look as expensive as those costing $5 and up. The quality is superb and I am very particular. Rated 5 out of 5 by BG77 from Excellent quality, rapid delivery. The knobs were as described. The extra hardware simplified the installation. Rated 5 out of 5 by Ruston from Love these. Beautiful in polished nickel, great purchase. I am going to get a few more for some dresser drawer pulls.